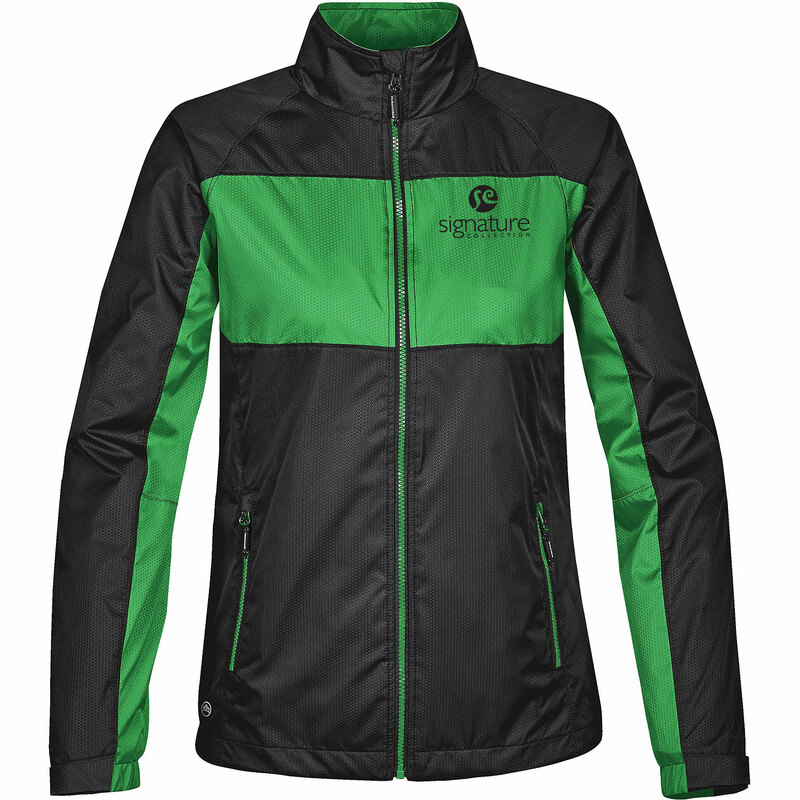 Product code: 20801 Category: Jackets. 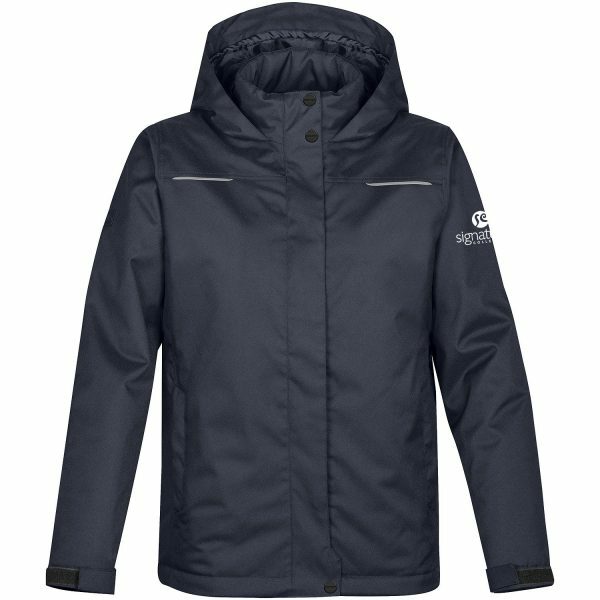 The hard-wearing, water resistant coated Stormtech HD polyester taslon outer shell combined with high-density thermal fill allows you to wear this jacket in a wide range of applications! Features a stowable hood, external full-length stormflap with snap closures, black reflective trim, set-in sleeves, velcro adjustable cuffs, adjustable hem, zippered pocket, chin saver, and internal zippered security pocket. Click here to view the companion style. 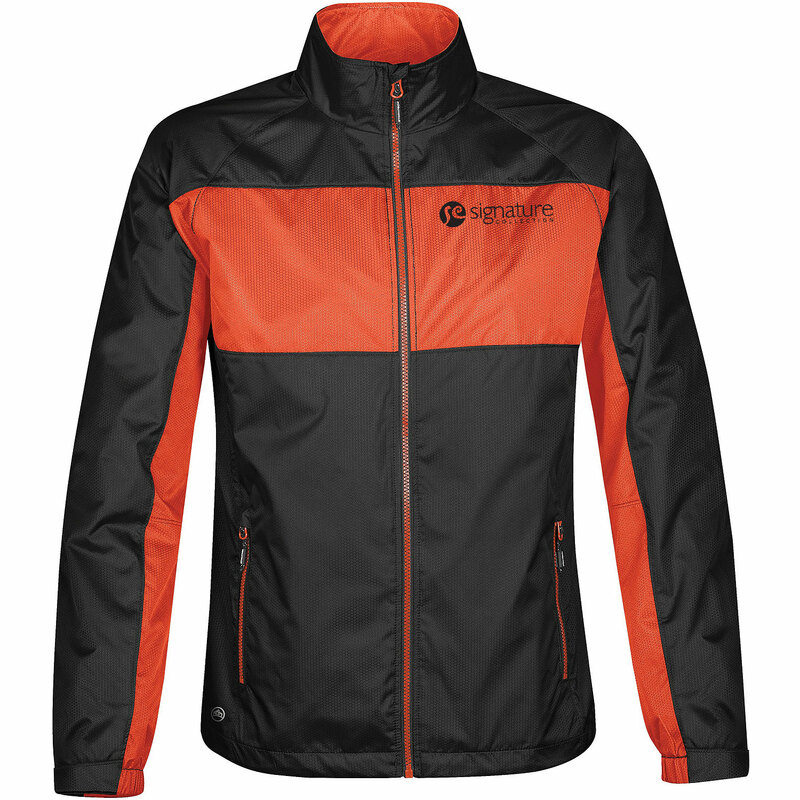 The mantis insulated softshell Jacket is engineered for comfort in cold, wet weather. 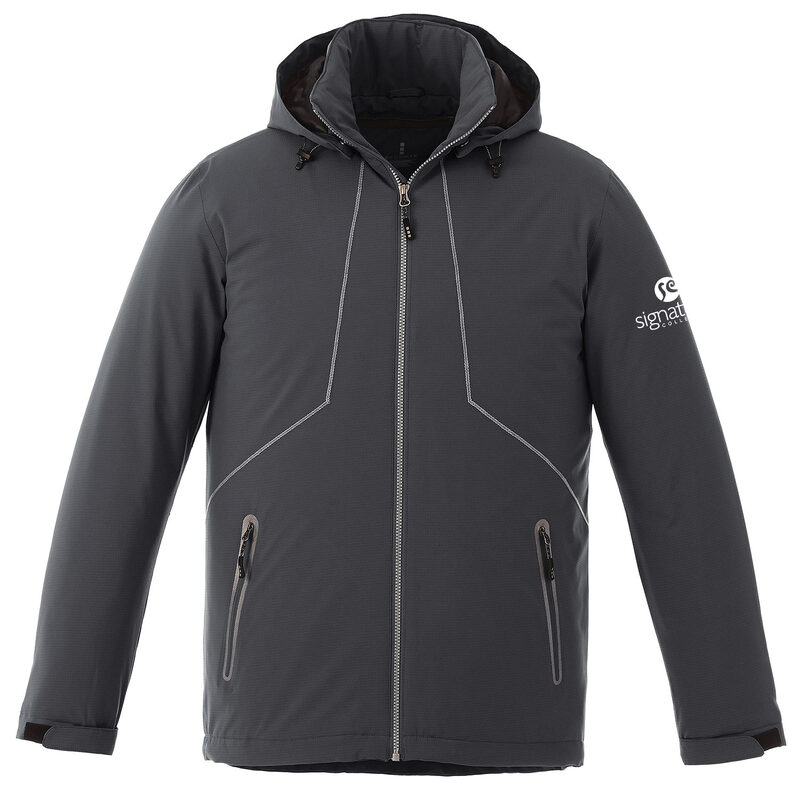 It's critical seam sealed to keep moisture from getting in, and the unique ECHOHEAT lining reflects heat back to the body to keep you warm. 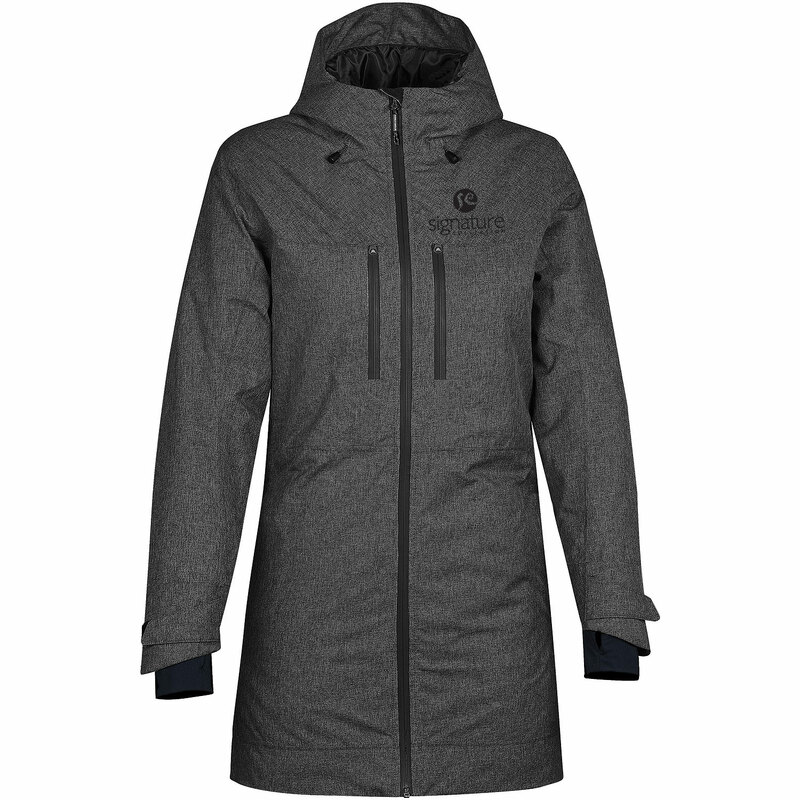 It also has a breathable, waterproof membrane, detachable hood and adjustable cuffs, while reflective detail on the back shoulders and front pockets. Outershell is made from 94% polyester/6% elastane ripstop mechanical stretch and lined with 100% polyester 420T ECHOHEAT body, 100% polyester taffeta 210T cire finish body, sleeves, and hood. Insulated with 100% polyester soft fill. Take the trend one step further with tri-colour blocking! 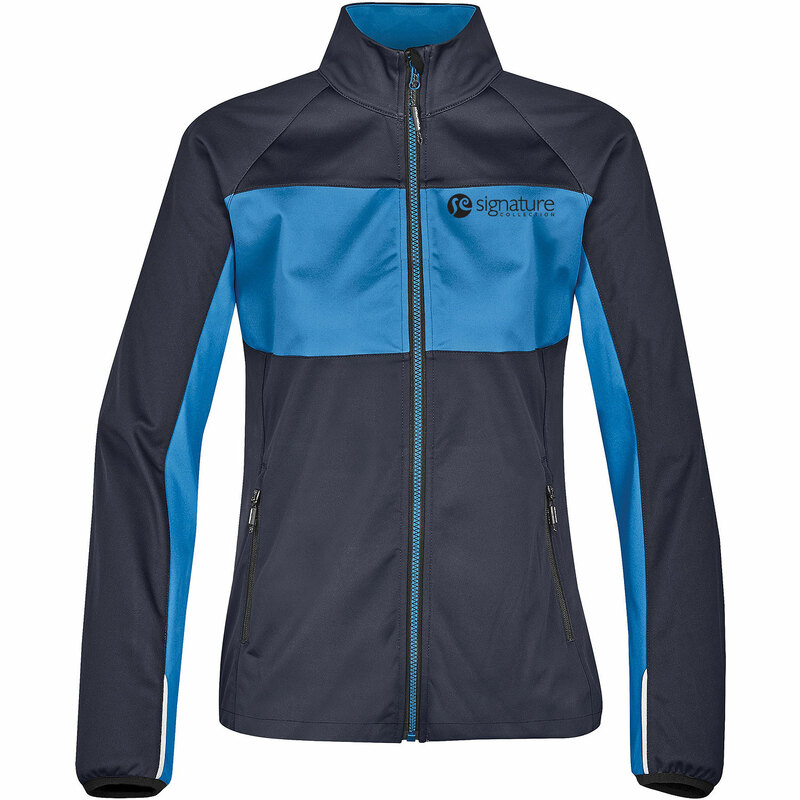 This lightweight jacket has contrasting colour shoulder yoke and chest panels with the chest panels stitched with graphite colour flat lock stitching. Made from 100% polyester jersey bonded with 100% polyester mesh this style features a bonded mesh backing, mock neck with tricot / fleece roll out lining, front technical zipper with guard, long sleeves with 1 inch turned under cuff, hip pockets with technical zippers, mesh pocket lining, interior back yoke and extended sport hem. 5,000 waterproofness / 1,000gm breathability. Bundle up in this heavyweight jacket detailed with faux fur on the hood trim! 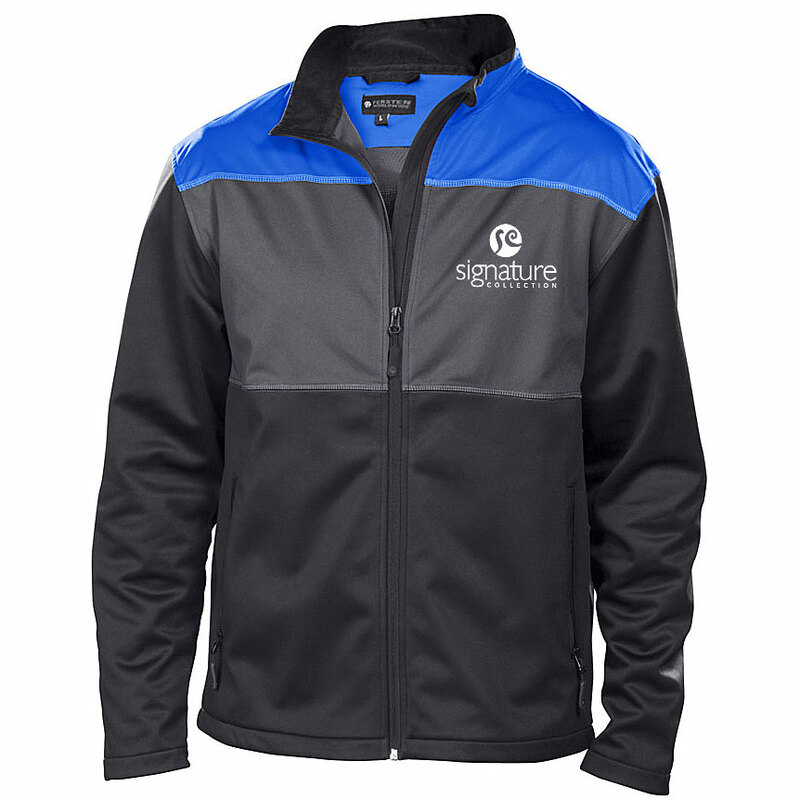 Made from 100% polyester twill with 100% polyester heat tech and fleece lining, this style is designed to keep you warm on those cold days. 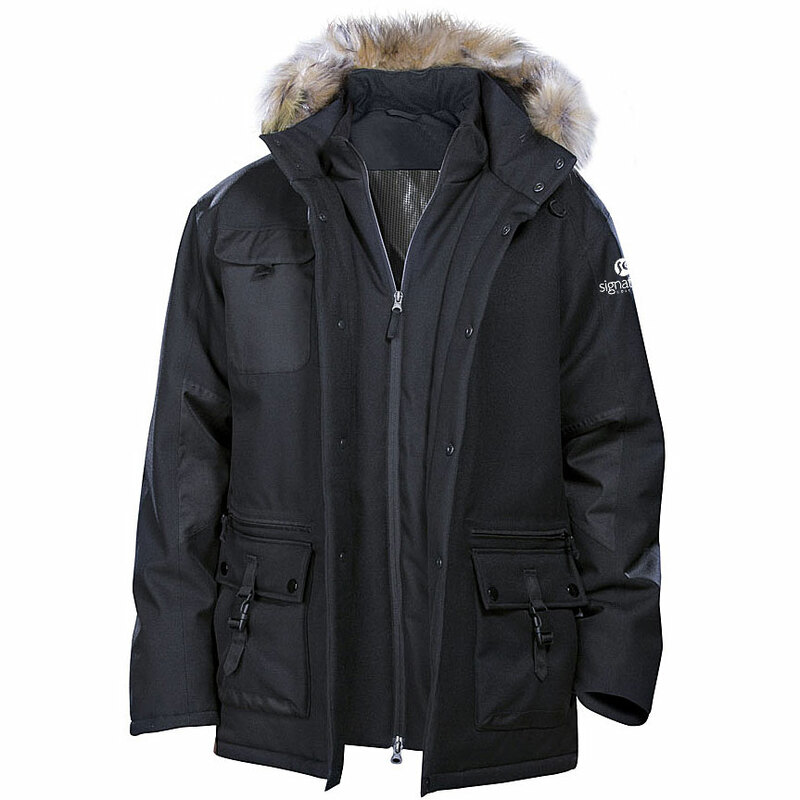 Features a velcro tear-away hood with detachable faux fur trim, a tricot fleece mock neck lining, 3/4 length heat-tech lining with fleece lined lower body, storm placket with snap closure, vest detail with technical zipper placket, right chest welt pocket, right chest cell phone pocket, left side cord sunglass holder, heavy wear elbow and back panels, welt pockets with zipper closures, security pocket with anti-RFID lining, interior back yoke and hop flap pockets with side and top opening, hidden zippers, snaps, and plastic clip closures. 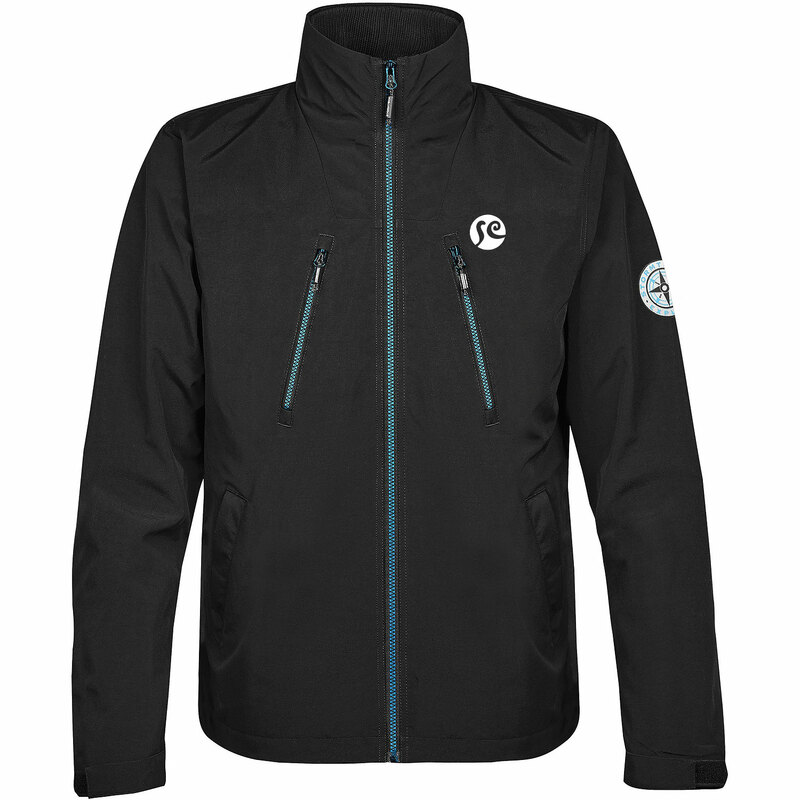 The jacket is critically seam sealed with all over double needle stitching and even hem. 3,000 waterproofness / 1,000 gm breathability. 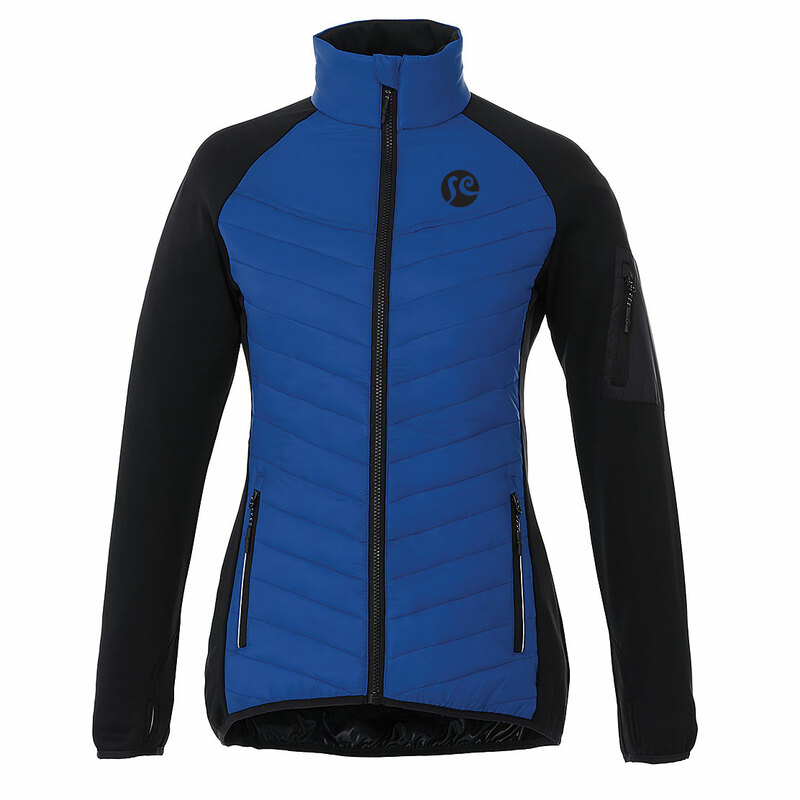 With its distinctive quilted body, brushed back knit sleeves and body panels, the Banff hybrid insulated jacket is an unique combination of style and comfort. 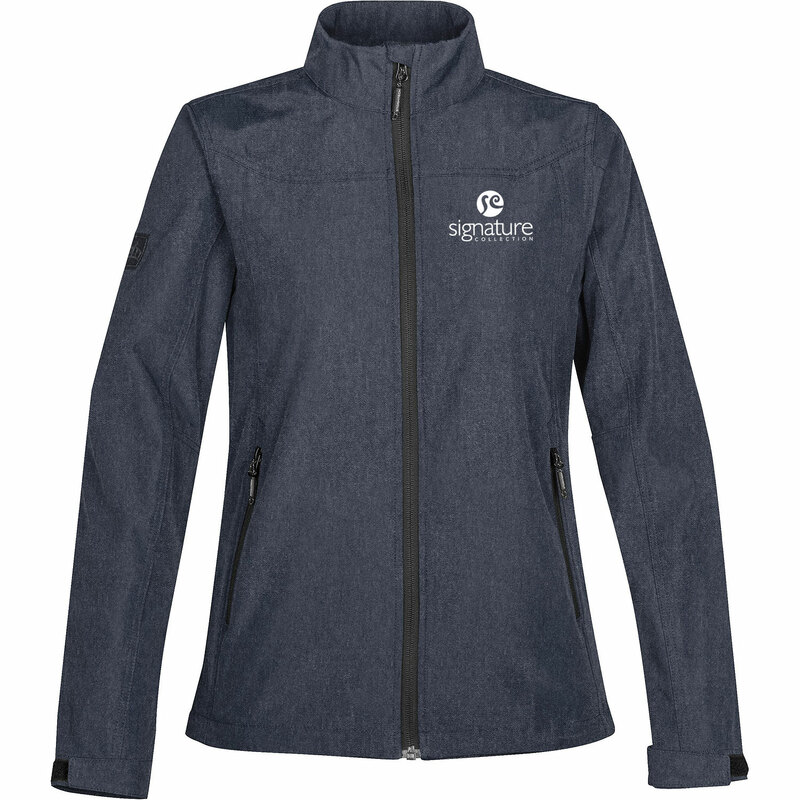 Offering insulated warmth and a water repellent finish for work or play! It's also got brushed polyester inner zip flap, chin guard and pocket lining for the added touch of cozy. The Banff has a distinctive retail look that will set any brand apart. The outer shell is made from 100% nylon dull cire 380T woven, water repellent and downproof, 38 g/m² (1.1 oz/yd²) with contrast of 94% polyester/6% elastane anti-pill interlock brushed back with durable water repellent finish body side panels, sleevesinner collar, 245 g/m² (7.2 oz/yd²). 100% polyester taffeta 210T cire finish body lining and 100% polyester brushed tricot knit inner zipper flap, chin guardpocket bags. Insulated with 100% polyester faux down fill total of body.